18"H X 18"D X 36"W Drop Door W/ T-Locks. 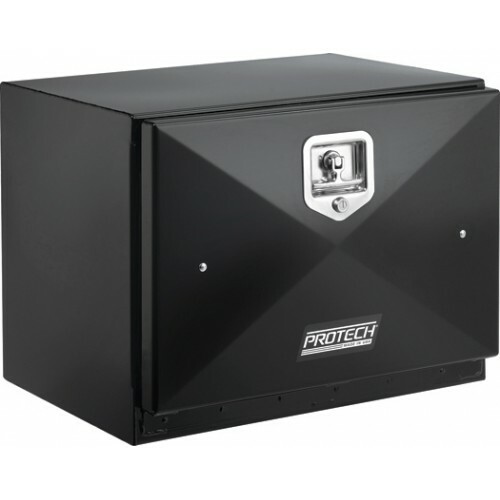 Steel Storage Boxes, 14 Gauge, Drop Down Door, Stainless Steel T-Locks Keyed Alike, Black Powder Coat Finish. Double Door Driver and Passenger Boxes Are Availible Also.